Is The Cloud something we need to step back and look at? Are we all missing the bigger picture and not contemplating the future? With our lives coming at a very fast-moving pace, are you really jumping on-board? Or are you thinking that having an “Internet Enabled Smart Phone” means that you are on-board the Super Highway to the future? Whilst so much can be done with your phone or tablet, the much bigger picture is not truly been looked at. Many companies are now looking to scale down and embrace technology to such an extent, that more staff are working from home or companies releasing staff but then re-hiring them as a contractor. Many companies let their marketing or human resources departments leave but allow someone in that department to create a company and then the company awards them a contract as it is much more cost-effective. Thus, with the ex-members of staff setting up on their own but working from home (SoHo), they tend need to have the need for an occasional office space for meeting and where does all this take place? During the day, just have a look at your local Coffee shop or Hotel lobby or lounge – just see how many people are sat having meetings? But what about having a more corporate feel to having a place to work, host a meeting or seminar? A solution is there and is becoming more and more apparent…the “Hot Desk”….. Individuals and companies are creating the facility for you to rent a desk by the hour, half day, day or week as and when required. This is not a thing – Regus and others have been doing this for many years, however, the benefit is really being brought back in-house with companies starting to embrace this too. With the cost of office space plus everything else that goes with it rising all the time, companies are not only looking to reduce costs, but also streamline and make themselves more effective – so the “Hot Desk” is now coming more and more common in not just the Corporate World but with more and more businesses. So, put this together with BYOD and the arrival in the near future of WYOD, are you really focusing on what is going to be happening? And this is before we talk about 3D Printing! Are you really going to need everything that you have in and around your business today in say a year? eighteen months? Two years? Are you really in the know or planning ahead? Isn’t it time you stopped and considered this? If someone helped you – what made you use them? These are just some of the wonderful questions I get asked or people discuss with myself quite often. It is really surprising how many people are now jumping on the band wagon of being a “Social Media Expert”, “Social Media Guru”, “Social Media Marketer”, “Social Media SEO Expert”, “On-Line Expert”, “Marketing Expert”….the list can go on and on…. Whilst I don’t proclaim to be an expert, what I do is look at the market and the future and not just say “Are you on LinkedIn?”, “You need Facebook“, “You need Twitter“, are you here or there or everywhere – trends are not always KEY! A recent article by Philip Calvert highlighted this topic substantially when he wrote about a company saying that don’t reply to people tweeting their company as they don’t take them seriously – why? Is this just their thoughts or were they advised this way? Where are their marketing department? With the future moving faster than you know (you may say this is not the case but do you really know what is happening behind the scenes?) and this is becoming more and apparent in the developing world and emerging markets. Whilst here we are in the United Kingdom, Scandinavia, parts of Europe and the United States with some of the fastest possible broadband/internet access available, do you know we are so far behind in other areas and hence no doubt you business is too…. For example, do you know where you customers are? How far away from your premises are they? Are they less than 100 metres or approaching you? I am not talking about knowing their location or email address, I mean actually in PERSON! Most of you will have seen (and maybe fed up by now) of me constantly going on about ENGAGE, ENGAGEMENT, INTERACTION, LOCATION MARKETING and MOBILE MARKETING and here is why…. This aspect of location/mobile marketing is not here now but it is already here in India and other parts of Asia. They know when their clients are nearby. They can anticipate and be ready if a client turns up. And yet most people would say these areas are and could be considered third world regions by comparison. They say that India only has 13% internet penetration whilst here in the United Kingdom we have 75%! Why I am saying this, simply put, do your so called “experts” and “influencers” fully understand where the world is going? Make sure you really know their background and don’t get sucked in by a cheap or low-cost solution…. And before you say it, no I am not bitter or having a dig at certain people – I am just highlighting the issues that many experts I know share with myself. Why do they share this with me, because whilst we may compete in some areas – the main thing is that we actually share or work in collaboration plus we work together behind the scenes to help make sure we all are ready to be able to help all our prospects and clients. Real experts and influencers work together – not compete! So, think about who you are using and just maybe, seek the opinions of other experts and influencers to make sure you are being taken on the right path of delivering the future now to your business…. To learn more about myself or contact myself, you can educate yourself here, communicate with me here or just complete the form below…. 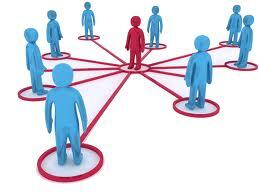 Who is uses their Circle of Influence to be your Influencer? Take for example Zig Ziglar (who died 28th November 2012) or Seth Godin who yes you can say are influencers and inspiring people from reading their books or listening to their Podcast’s but is this not just one way traffic? Yes there are many books, tapes, CD’s, Podcast’s and videos of many different people (including the likes of Seth and Zig, and the only reason for mentioning them, is that both their names are virtually always mentioned by when asked about influencers) but you may be learning and picking up tips, but how much is really relevant to you? Isn’t this all just one way traffic?